Crisis has hit the Social Democratic Party (SDP), in Ekiti State, as the National leadership of the party and the pioneer chairman of the party in the state, Ayo Adekola, have disagreed over alleged endorsement of a former deputy governor of the state, Bisi Omoyeni, as the party’s consensus candidate for forthcoming governorship election slated for July 14. Recall that a statement, credited to the pioneer chairman of the party in the state, Ayo Adekola had, while justifying the alleged decision said, it was part of the ways to ward off internal crisis in the Social Democratic Party (SDP) that is fast becoming a potent force in Ekiti State, that the leadership of the party adopted Omoyeni as the consensus candidate of the party for the July 14 governorship election. hails from was our candidate. But he fell sick and was taken overseas and he used my name as a stop gap. Few days to election, he called me and said I should be made the candidate. “I want to advise our party to return to that town this time around. And after brainstorming with other leaders, the only person we know can realize the vision of our party and rescue us from this situation is Chief Bisi Omoyeni, because this is a welfarist party. “We are backing his candidature. We are determined to reenact the victory of 1993 in this election. We plead with defectors not to see the ticket as a priority”. But reacting to the report yesterday, the National Publicity of SDP, Mr. Yemi Akinbode said that as genuine democrat, committed to the rule of law, due process and the will of the people, the party would never act with impunity or join the gang of political parties whose cabals impose candidates. He said that the relevant organ of the party is presently preparing Guidelines for Party Primaries that will be used nationwide, saying that all bonafide members of SDP will have equal right and privileges which would not be treated as inheritance to any member. Akinbode said, “The attention of the SDP leadership has been drawn to a media report mischievously claiming that a “consensus candidate” has been chosen by the SDP. For the avoidance of doubt, nothing of such happened. We are genuine democrats committed to the rule of law, rules and regulations, due process and the will of the people. “We will never act with impunity or join the gang of political parties whose cabals impose candidates. The process of building a formidable and winning party is ongoing while the relevant organ of the party is presently preparing Guidelines for Party Primaries that will be used nationwide. “All bona fide SDP members have equal opportunities, rights and responsibilities and at no time will candidacy, positions and privileges be treated as gifts or inheritance. 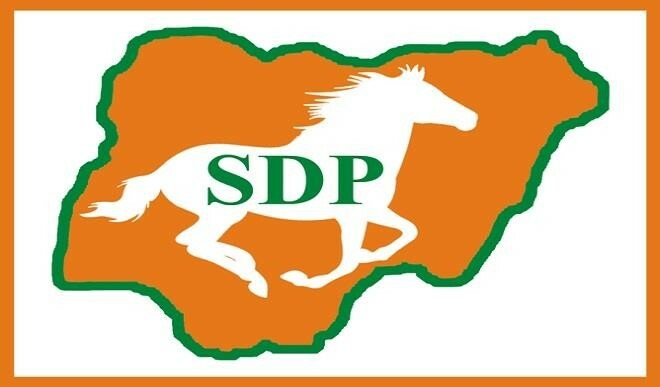 The SDP is set to liberate Ekiti State and Nigeria. All social democrats and patriots must unite and not waiver in their commitment to the new social order of our mission and vision,” he said.